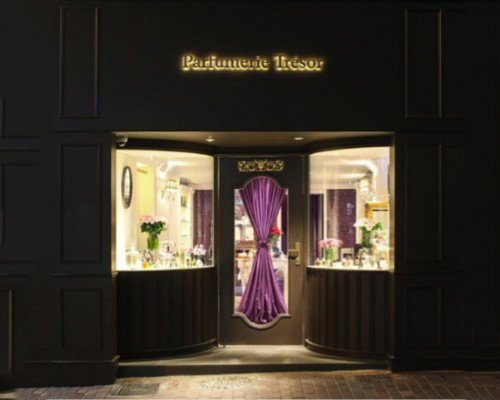 Being the first and the only Perfume Boutique in Hong Kong, the newly opened Parfumerie Tresor is dedicated to introduce premium and luxury independent Cosmetics and Perfume Brands to Hong Kong and the Asia patronage. Pauline and her team will be happy to welcome you around in their beautifully decorated boutique and advise you with indepth knowledge about the newest sents and cosmetics trouvailles from Europe and all over the world. The shop located in No. 28 Lyndhurst Terrace - Central, is one of the most interesting high streets in Hong Kong mixing with different selected store, cluttering a small society with lifestyle lovers and trend setters.